1.2 People Food – is it Really Bad for Your Dog and Cat? 1.3 Pet Food – is it Really Good for Dogs and Cats? ‘People’ food is a term that many people use – veterinarians included. A lot of people are under the impression that people food is bad for dogs. I believe that all depends on how the term ‘people’ food is defined. If ‘people’ food is defined as processed food – the type of food that occupies 80% of today’s grocery shelves – yes, I would have to say it is bad for dogs and cats…just as processed food is bad for humans. If instead ‘people’ food is defined as whole foods such as meat, good source fat, dairy products, fruit, vegetables, herbs, such as yogurt and cheese etc. then there are some ‘people’ foods that are good for dogs and cats, and other foods such as cereal grains that are definitely not good for dogs and cats. Some foods that are fine for us are not just species inappropriate for dogs and cats, some of these foods are toxic to dogs and cats. The lists - provided further below in section 2 and 3 of this article, separates the good from the bad and the downright dangerous. And as a holistic behaviorist who lives and works with dogs I can help you put to rest the theory voiced by some that ‘It is bad to feed your dog people food because doing so encourages your dog to beg for food’. Feeding your dog real food (people food) does not create ‘bad manners’ in a dog, does not make a dog beg for food, be aggressive around food etc. It is instead the act of feeding your dog ‘at the table’, slipping your dog bits of food from your plate, letting your dog fixate on your food and be under your feet while you are preparing the food that makes a dog beg for food. My dogs all eat real food – the same food that I eat – they eat their food in their own food bowls and they do not beg me for my food. They are permitted to be in the kitchen when I am preparing food – provided that they behave in a reasonable manner – relax, sit or lie down out of the way. There are many ingredients and hidden ingredients in pet foods and treats (off-the-shelf pet store products and veterinarian prescribed) that will adversely affect the health of your dog and cat. Having some knowledge of the good and bad ingredients found in pet food can mean the difference between great health and poor health, between a few visits to the veterinarian over the span of your companion animals life - or many visits, lesser quality of life and a shortened life span. 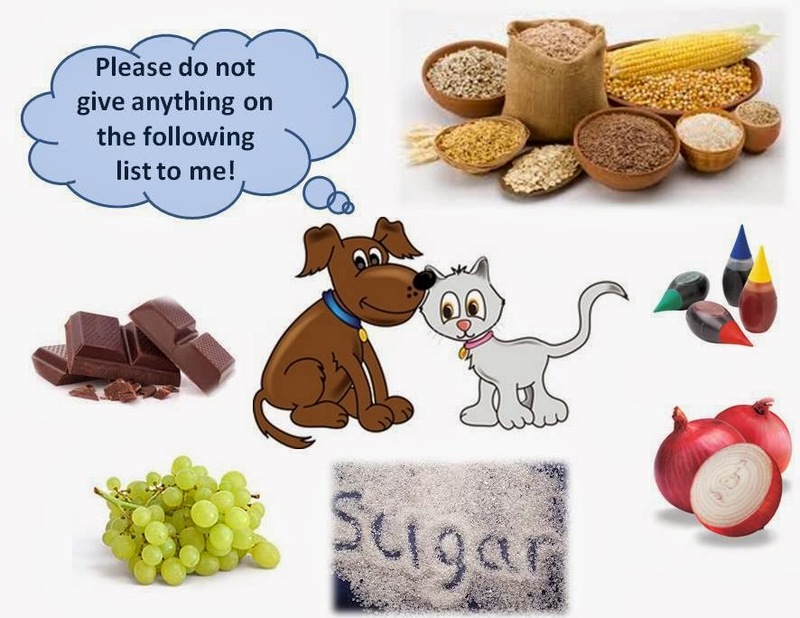 The lists - provided further below in section 2 and 3 of this article, below will assist you in understanding bad, good and better pet food. If the pet food you are using is not made with human food grade meat ingredients, all or a portion of the meat and meat by-products is condemned, denatured meat - the meat is toxic and carcinogenic. I recommend you read this article on condemned, denatured meat used in pet food. The food has come into contact with a poisonous substance (i.e. chemical-based cleaners that you have used on food prep surfaces). If the food has not been stored safely (i.e. raw food not refrigerated) and has become contaminated with harmful bacteria. If the food has started to rot. If the food is from a source (i.e. meat) which was from an animal that was fed growth hormones, antibiotics, and yes, genetically engineered (GE), genetically modified (GMO) foods. The food (i.e. meat, eggs, packaged vegetables) have been treated with bleaching agents. The meat has been denatured. Any type of alcohol can be poisonous to your dog and cat and aside from intoxication, can cause a coma or even death. If ingested in large amounts - and please remember large amounts must be considered in relation to your dog's or cat's size - can cause problems with electrolyte levels (low calcium, low potassium, high sodium), muscle spasms and/or congestive heart failure. Also avoid giving your dog large amounts (again size is relative) of raw dough that contains leavening agents. Remember heat is a catalyst for the leavening agent - raw dough can swell in your dog’s stomach and cause serious if not lethal damage. Baking soda in small therapeutic amounts can be beneficial when used properly and appropriately. Commercially prepared broth such as that found on grocery store shelves - even the organic type usually include sugar. The non-organic type can include sugar, chemical preservatives, sodium, herbs or spices that may not be good for dogs and cats. Don’t give your dog or cat commercially prepared broth. Use homemade broth instead that is free of ingredients that make dogs and cats sick. Candy with Xylitol can cause liver damage and death. Corn, soy, cereal grains, refined cereal grains, whole cereal grains are not good for dogs and cats. A dog’s, cat’s system is not evolved to consume or thrive on large quantities of grains. Grains do not provide appropriate nutrition are hard on the digestive and eliminatory system, and are the trigger from many health issues – for example: chronic ear infections, candida of the paws and skin, food allergies, inflammatory diseases such as diabetes, Chrons disease, endocrine disruption, renal issues and cancer. Most dog and cat food and treats that do contain corn, corn derivatives, soy and soy derivatives (at least in North America) are made from Genetically Engineered (GE), Round-up Ready Seeds. These GE seeds are very high in glyphosate herbicide residue. You can read about the serious health threats posed by GMO corn here. Dogs and cats should never have any type of chocolate. Milk chocolate is not as dangerous for dogs and cats as semi-sweet or unsweetened bakers chocolate. Chocolate poisoning can cause irregular heart rate and rhythm, restlessness, hyperactivity, diarrhea, vomiting, panting, muscle tremors, abdominal pain, bloody urine, increased body temperature, seizures, coma and death. Can result in increased breathing and heart rate, restlessness and affects the central nervous system. Large amounts (relative to the dog's and cat's weight, health and genetically inherited constitution) can cause very serious and, at worst fatal damage. Large amounts of fat such as butter, margarine, lard, fat trimmings and oil are a health hazard. Excessive consumption of fat can cause failure of the internal organs such as the liver. It is important to note that a dog's natural diet is about 30% good source fats such as those discussed in this article. There is NO safe threshold for bad fats such as GMO soybean oil, GMO canola oil, animal fats from denatured, condemned meat. If fed exclusively or in large amounts can result in a thiamine (a B vitamin) deficiency leading to loss of appetite, seizures, and in severe cases, death. Kept to 20% of the daily diet, fish can be very beneficial. My dogs and cats eat raw fish. Raw fish is excellent for dogs and cats provided the fish is parasite-free. Make sure you freeze fresh fish for at least 7 days before giving it to your dog and cat. This ensures that any parasite that may be present in the fish is killed. Raw fish can contain flukes, a parasite that infests the liver of animals including dogs and cats. This parasite can cause liver damage and subsequently death. If you know for certain that the fish in your area is not infested than there is no threat to your dog's or cat's health. Check the ingredient list on your dog's and cat's kibble and treats - if the food and treats contain fish meal you need to check with the manufacturer to ensure that they guarantee there is no ethoxyquin in the fish meal. You have to research this as the ingredient list will not list ethoxyquin on the ingredient list - it is a hidden ingredient. Ethoxyquin is a powerful and lethal pesticide that is also used to stop fat from going rancid. Ethoxyquin is a carcinogen. Ethoxyquin is now banned from use in human food. You can read about ethoxyquin here. Acana, Blue Buffalo, Evo, Orijen, Performatrin are examples of dry dog and cat food that are ethoxyquin-free as stated by the manufactures on their respective websites. Choose wild, or wild-caught fish - never feed your dog of cat farmed raised fish, or pet foods and treats that contain farm raised fish. Toxins ingested from consuming farm raised fish are discussed in this article. Avoid treats and kibble that contain chemical based food coloring. Chemical-based food coloring is concocted from chemicals that are carcinogenic and cause numerous health issues the least of which is the inability to concentrate. Chemical-based food coloring is known to cause various types of cancer including bladder cancer and brain tumors. If the food coloring is not listed as ‘natural’ then it is chemical-based. Avoid treats, pet food products and supplements that contain artificial and/or 'natural' food flavor. Both artificial and natural food flavoring contain allergens, toxins and carcinogens. 'Natural' flavor is actually not natural and is comprised of multiple (up to 100) chemical substances. For more information on the use of flavoring and flavor enhancers you can read this article. I also recommend you read this article that explains the difference between chemical, natural and organic flavor. This is just a very small sampling of the health issues triggered by, exacerbated by and/or caused by grains in the diet. Can cause vomiting, diarrhea, lethargy, abdominal pain, lack of appetite and kidney damage. Not all grapes, and not all grape seed products are toxic to dogs. Grape seed extract and grape seed oil are NOT toxic to dogs. Read more about grapes and dogs here. Homemade Dog and Cat Food if not nutritionally balanced or biologically appropriate! If you are making your own homemade raw or cooked and fresh dog or cat food it is of the utmost importance to ensure that the food you are making provides a nutritionally complete diet. Many homemade food diets are not nutritionally complete - this gap exposes your dog and cat to multiple health issues.Make sure you do your research to ensure you create a truly balanced and healthy homemade food. To see what a nutritionally complete homemade cooked and fresh food is comprised of you can look at this recipe. May cause panting, elevated temperature, increased heart rate, seizures and death. In large amounts can cause Vitamin A toxicity, leading to kidney damage/failure. Liver and other organ meats ARE an ESSENTIAL part of a healthy daily diet for dogs, and should represent approximately 10% of the daily animal protein intake. Can cause vomiting, lethargy, hyperthermia, abdominal pain, stiff joints, lameness and tremors. Can depress the nervous system, cause vomiting, and changes in the heart rate. Good quality cannabis (i.e. cannabis oil), when used in the proper dosage can be very beneficial in specific circumstances. Organic hemp food products such as hemp oil and hemp seed are very beneficial to dogs and cats when provide in the correct amount as part of a healthy daily diet. Can have varied effects on pets including vomiting and diarrhea. There are many types of mushrooms that are toxic to dogs - typically the same mushrooms that are toxic to humans. More on that here. Symptoms or poisoning may vary - depression, diarrhea, nausea and vomiting, abdominal pain, tearing, hallucinations, defecation, liver failure, seizures, drooling, urination, kidney failure, heart damage, hyperactivity and in some cases, death. There are also many types of mushrooms that are non-toxic to dogs, and provide many health benefits, for example oyster mushroom, lions mane, shitake, turkey tail, and other medicinal mushrooms. More on that here. The leaves and stems of these plants can cause problems with the digestive, nervous and urinary tract systems. Eggplant should never be given to dogs and cats. Potato - a starchy carbohydrate, are not good for dogs or cats. Goji berries can be very beneficial but do have interactions with some conventional drugs - always check for drug interactions. Contain thiosulphate, the substance responsible for causing ‘Heinx Factor’ anemia in dogs and cats. Can also cause gastrointestinal problems such as vomiting and diarrhea. Garlic when used within the proper daily dosage is highly beneficial for dogs - not dangerous. Pits from Apricots, Cherries, Peaches, Plums, etc. If ingested in large amounts can cause respiratory difficulties such as breathing, coughing and sneezing. The flesh of these fruits are good for dogs, and yes some cats enjoy eating them too. Raw bitter and extra bitter apricot seeds (kernels) are used for medicinal purposes, and are, for most individuals - safe for use when proper dosage requirements are adhered to. The ASPCA provides an extensive listing Toxic and Non-Toxic Plants (ASPCA), however it is important to note that the list is not 100% accurate. Some of the plants on the list are herbs that are not toxic to dogs and cats. Chemical-based preservatives (i.e. BHA, BHT, Ethoxyquin, Sodium Metabisulfite, Propyl Gallate, and TBHQ) found in many processed foods for people and in many dry and wet dog foods and treats including veterinarian prescribed dog foods are toxic and carcinogenic. You can read about these preservatives here. Can be poisonous to pets and can cause vomiting, diarrhea, lethargy, abdominal pain, lack of appetite and kidney damage. Not all grapes are toxic to dogs. Can cause problems with the digestive, nervous and urinary systems. Rhubarb is, however a medicinal herb, which when used properly for certain conditions is beneficial for dogs and cats. Table salt and iodine salt are not good for dogs in any amount. You can read about that here. Too much salt can cause salt poisoning, and death. Full spectrum salt, given in very small amounts can be beneficial to dogs. Contain amygdaline, which when consumed is converted into hydrogen cyanide. Hydrogen cyanide can have a variety of bad affects on dogs and cats BUT only when consumed in VERY large quantities. My dogs self-harvest whole wild apples and consume many apples at a time - they have never become ill from doing so. The flesh of the fruit is safe for dogs and cats. If a product is really wholesome why does it require sweeteners to be appealing to your dog or cat? Cats have in the realm of 450 taste buds and are not – in general, attracted to sweet tasting substances. Dogs have on average 1700 taste buds and do discern sweet, sour, salty tastes – just not to the same degree that the average human does – we have between7,000 to 9,000 taste buds. The sense of taste is the only sense that a human posses that is stronger than a dog’s - all of our other senses (sight, hearing, smell, etc.) is less than that of a dog. Sweeteners are not required in your dog’s or cat's diet! In fact they are not good for your dog or cat. Sweeteners like grains are inflammatory – the vast majority of chronic diseases are triggered by inflammation. Sweeteners are encourage the growth of bad bacteria in the mouth – putting oral health at risk and also feed bad bacteria in the gastrointestinal tract. If the product you are going to buy has any of the following ingredients in it, you know what to do - re-shelve it! Unpasturized honey (even if it is organic) if it has been subjected to intense heat via i.e. steaming, cooking, baking. Remember daily intake of sweeteners is just as bad for dogs as it is for humans. Sugar suppresses the immune system - making it easier for cancer to take hold. Sweeteners also cause allergies, arthritis, cataracts, hypoglycaemia, heart ailments, nervous energy, tooth decay, obesity and so on. The more your dog’s health is compromised the harder it is for your dog’s body to fight disease! Unlike the negative impacts on health caused by other sweeteners, organic unpasteurized honey that has not undergone any heating process does offer many health benefits. Organic unpasteurized honey (bee pollen and propolis) when provided in the proper dosage offers many health benefits for dogs. You can read this article for an example of the benefits derived from including organic unpasteurized honey in your dog's diet, dosage and cautions. i.e. Earl Grey Tea, Orange Pekoe Tea, etc. Can have varied effects on dogs and cats. The caffeine and tannin found in tea derived from tea plants are toxic to dogs and cats. There are many herbal teas that offer great health benefits for dogs and cats. Many made-for-pet vitamins are actually health threatening as a majority of these products contain toxins, carcinogens and known allergy triggers. It is important to know how to read ingredients and also know how to identify unlisted ingredients. Vitamins made-for humans can contain inappropriate levels of certain elements such as iron. Overdose of elements such as iron can damage the lining of the digestive system and be toxic to the other organs including the liver and kidneys. Can cause gastrointestinal problems such as vomiting and diarrhea, as well as respiratory issues such as sneezing, breathing and coughing. Aflatoxins – a naturally occurring fungus on grains, seeds, legumes and tree nuts. Aflatoxins are a carcinogenic fungi. Avoid all animal-feed grade ground and tree nuts. Can be dangerous as it will expand and result in gas, pain and possible rupture of the stomach or intestines. Baked is also not good for dogs and cats if it is made from grains. Xylitol is a sugar alcohol -- an artificial sweetener created from birch, raspberries, plums and corn.1 This sweetener is found in many human "sugar free" products, such as gum, candies and other sweets. Signs of toxicity can be seen as quickly as 30 minutes after xylitol ingestion in dogs. The xylitol causes a rapid release of the hormone insulin, causing a sudden decrease in blood glucose. The following are symptoms of Xylitol poisoning: vomiting weakness, ataxia (uncoordinated movements), depression, hypokalemia (decreased potassium), seizures, coma, liver dysfunction and/or failure. Ingestion can be fatal. Flesh of the avocado fruit is rich source of many beneficial nutrients for dogs - you can go here to read about the health benefits, and how to include avocado in your dog's daily diet. Your dog should not eat the skin and pit of the avocado. The leaves, bark of the avocado tree, the skin and pit (seed) of the avocado contain persin - a fungicidal toxin. Employ caution when giving bones to your dog. Some bones can be very dangerous - as they can splinter and cause obstruction or laceration of the digestive system. Bones from many types of fish are dangerous for dogs just as they are for people. The cooked bones of salmon are not harmful, in fact they are good for your dog. A safe substitute for raw, fresh or frozen bones is high-quality healthful source bone meal or or microcrystalline hydoxyapatite - MCHA (freeze dried bone). These bones are soft, bendable (as opposed to brittle) and there fore can be chewed without fear of damaging teeth or creating bone splinters that can cause damage to the dogs innards. If your dog has a very sensitive stomach the marrow in these large raw bones can cause diarrhea. You can remove most of the marrow only leaving a little in the bone, until the dogs digestive system acclimatizes to digesting the fat and nutrient rich marrow. For older dogs and cats with a suppressed or lessened appetite. You can use this bone broth recipe. If consumed in reasonable amounts - particularly on a daily basis some dairy products are very beneficial for most dogs and cats. If your dog or cat is not lactose intolerant, plain yogurt or kefir is an excellent immune system booster. A little hard cheese or cottage cheese on a daily basis is a good source of nutrition. If your dog or cat is lactose intolerant – some can tolerate hard cheese as during the cheese making process most of the lactose is removed. My dogs and cats eat yogurt, hard cheese and cottage cheese on a daily basis. You can read here to understand which dairy products are good for your dog and cat, how to select a good product and safe daily dosage. At best even the 'better' products are not species appropriate, nutritionally complete, and biologically appropriate. Pet food manufacturer's can use these popular, hot, key words however they want to in order to sell their products. The words/terms 'Nutritionally Complete' and 'Biologically Appropriate' as pertains to the pet food industry are terms are not regulated by government bodies such as Health Canada, and the FDA. These terms are also not regulated by AAFCO and if they were the regulation would not be one to be trusted as AAFCO is not an objective non-governmental organization (NGO). AAFCO is a private organization made up of those who are in the pet food industry and their associated lobbyists. The pet food industry does not have the engineered technology to make processed dry food species appropriate, nutritionally and biologically complete. The very nature of the process required to make dry food destroys the viable, essential elements that make food species appropriate and complete. Even if the whole food that goes into making the product is species appropriate, is organic, is a viable health promoting microbe, has essential enzymes, has antioxidant or other health enabling properties - once that item is super-heated and otherwise processed the former healthful qualities are degraded. One - A substance that is added to a food as part of an initial harvesting and preservation process. An example of this would be fish meal that has been preserved with the potent, very toxic and carcinogenic chemical ethoxyquin. You can read about the health and life compromising effects of ethoxyquin here. Glyphosate residue (an herbicide and the active ingredient in Monsanto's Round-up) can be consumed by your dog or cat when he/she consumes products that contain meat obtained from Concentrated Animal Feeding Operations (CAFO for short, also called large factory farms). Glyphosate is a broad-spectrum herbicide and is the active ingredient in Monsanto's herbicide Round-up. In North America (and some other parts of the world) 80% of corn and soy crops are grown from Monsanto's genetically modified (GM) Round-up ready seeds. These crops are heavily dosed with multiple application of Monsanto's Round-up herbicide. Round-up is toxic to humans, animals and insects such as bees. Glyphosate even when diluted 100's of times below the strength of agricultural crop application has been proven to damage cells, kill cells (animal and human) and have hormone damaging effects. Animals (i.e. cattle, chickens) raised in CAFO are feed GM corn and soy and by-products. The meat of animals fed GM corn and soy may have a bio-accumulation of the toxin glyphosate. Alfalfa affords the opportunity to increase profit. ... However alfalfa does not support the health of your dog or cat...in-fact quite the opposite. GMO alfalfa contains even higher levels of herbicide residue than non-GMO alfalfa. Bacitracin zinc, bambermycins, chlortetracycline, erythromycin thiocyanate, lasalocid sodium, lincomycin, melengestrol acetate, monensin, monensin sodium, oleandomycin, oxytetracycline, salinomycin sodium, ractopamine hydrochloride, tylosin, virginiamycin, zilmax. Ractopamine - is a beta agonist that is banned in 160 countries, but is approved by Health Canada and the FDA and is used by about 80% of CAFOs in Canada and the USA. Ractopamine a beta agonist drug, is added to CAFO fed to increase the growth of animals thus supporting a larger profit margin for the operation. Ractopamine is a known and well documented poison responsible for: aggression, anorexia, birth defects, bloat, cardiovascular system risk - including elevated heart rate and heart, excessive hunger, hyperactivity, lameness, reproductive function reduction, respiratory issues, stiffness, stress and most frequently reported - death. It is also being studied for its role in causing chromosomal abnormalities, behavioral changes and food poisoning. Up to 20% of the Ractopamine consumed remains in the meat found on grocery stores shelves and in products that the meat is used in - including dog and cat food. Zilmax is another beta agonist drug used in Canada and the USA to increase growth rate in CAFO animals. Zilmax delivers 125 times the potency of Ractopamine. Zilmax causes severe behavioral problems, muscle tremors, rapid heart rates even up to 2 weeks after use of the drug has been stopped. Like Ractopamine, Zilmax remains present in the meat and liver of the slaughtered animal. These substances - ethoxyquin, glyphosate, ractopamine and zilmax are all examples of toxic hidden ingredients that are NOT biologically appropriate or species appropriate for any animal, including dogs and cats. Using whole white fish which may be high in mercury, rather than using wild salmon. Using a poor source GMO Omega-6 fatty acid - oil (i.e. corn oil, canola oil, cotton seed oil, safflower oil, soy oil) that is inherently high in pesticide residue rather than a good quality oil such as organic coconut oil or olive oil. To get a glimpse of just how bad the ingredients in veterinarian prescribed dog and cat food can be for your dog and cat read here. Have your dog on pesticide-based Heart worm, Flea, Tick , etc. preventatives. You then need to supplement with a wider variety of foods, herbs and nutraceuaticals to compensate for the additional toxic burden placed on your dog or cat. Is Your Dog's Dry Food (Dog Kibble) Full of Toxins and Carcinogens - Do You Really Know What to Look For? Fish, Fish Meal and Ethoxyquin - Danger, Do You Really Want This in Your Dog and Cat Food? Eggs offer excellent nutrition if the eggs are from non-GMO fed, free range pastured organic poultry. My own dogs get a raw egg as part of their daily diet. Eggs contaminated with salmonella are typically eggs sourced from factory farm battery cage or 'free-run' poultry. If you are going to use factory farm eggs make sure you thoroughly wash the shell before cracking the egg or before giving the whole egg with shell to your dog. Raw eggs can be given daily provided that you give both the egg white, and the egg yolk. Egg whites contain avidin, which when ingested over the long-term can cause a biotin deficiency, if your dog's or cat's intake of biotin is low. To avoid deficiency of biotin, simply feed your dog of cat the egg yolk, and egg white together. The yolk of the egg contains sufficient biotin to offset the actions of the avidin. My dogs eat raw egg - I simply crack the shell, and then place the entire egg in their food bowl. Cooked eggs - if you don't want to feed raw, you can give your dog or cat cooked eggs - for a simple, nutritious method of cooking eggs for your dog or cat, go here. Egg Shell - dry finely ground can be used as a beneficial source of calcium when making homemade dog and cat food – you can see an example here. Natural Egg Shell Membrane (NEM) is an excellent anti-inflammatory – you can read about that here. The key is to ensure you provide your dog and cat with good source Omega-3 and Omega-6 fatty acids in the correct ratio on a daily basis. Omega-3 fatty acids are the body’s and brain’s natural anti-inflammatory – providing protection against inflammatory diseases. For a comprehensive guide to adding good fats to your dog's, cat's diet read here. Fat from the poultry and fish that they eat. A dog’s ancestral diet - and therefore a species appropriate diet consists of +/- 57 to 60% protein, 30% fat and 10 to 14% carbohydrates. Many commercially made dog and cat food products (kibble and treats) contain poor quality fats. Commercial dog food and raw food preparations do not provide a safely balanced ratio of Omega-3 fatty acids to Omega-6 fatty acids. For this reason it is important to supplement your dog's diet. A small amount of raw-frozen-thawed or gently cooked wild-caught deep cold water fatty fish such as anchovies, sardines, smelt, are very good for your dog (on a daily basis is fine - in small amounts) provided the amount of fish does not exceed 20% of the daily diet, Deep cold water wild-caught fatty fish are nutrient rich and a good source of omega fatty acids. You can read more about sardines for dogs here. Many fruits and vegetables are good for your dog and cat. Fruit and vegetables when integrated properly into the diet contribute antioxidants, vital mineral and vitamins. For example cruciferous vegetables such as broccoli offer anti-allergenic properties. Brussel sprouts, broccoli and cauliflower offer important anti-carcinogenic benefits. Berries are also high in antioxidants and anti-carcinogenic properties. Some of these foods also have additional medicinal properties as natural pain killers, anti-inflammatory effects and enzymes that support digestion. Tart red cherries and papaya are good examples. For an extensive list of fresh foods, for information on how to properly prepare (to aid digestion and maximum absorption of nutrients), introduce and feed fresh fruits and vegetables to your dog and cat read here. Garlic contains only trace amounts of thiosulphate – the compound responsible for causing the Heinz factor in dogs and cats. Garlic offers amazing health benefits to dogs when provided in the correct daily dosage.. When garlic is ingested in reasonable amounts there are no harmful effects, only beneficial ones. Garlic is known for its antic cancer, diabetes, liver, heart, kidney disease fighting properties as well as its use as a natural flea repellent and de-wormer for dogs. Cats are more sensitive to the active ingredients in garlic. Cats should never have more than 2 or 3 thin slices of a garlic clove a week. Garlic must be used with extreme caution with cats and only by those persons that understand how to strictly monitor use and side effects. Puppies under 6-monthjs of age should not be given garlic. While grapes are toxic to dogs and cats the oil and extract from grape seeds have beneficial properties for dogs and cats – you can read about that here. While there are some herbs and spices that are toxic to cats and dogs there are many herbs and spices that offer extensive health benefits to dogs and cats. When using a dog or cat safe herbal tea it is important to understand the cautions, drug interactions and dosage and how these elements may relate to the individual animal's specific conditions.To see a long list of herbs and spices that are good for dogs and cats and bad, complete with links to some of the beneficial uses, you can read here. Prior to giving your dog or cat herbs make sure you check all cautions, drug interactions, and any conflicts with your dog's or cat's current medical condition, if he/she has any condition. Also note some herbs that are fine for dogs are not safe for cats - make sure you check first. There are many herbal teas that are very good for dogs and cats. Rooibos Tea is one such example – you can read about the health benefits of Rooibos Tea here. When using a dog or cat safe herbal tea it is important to understand the cautions, drug interactions and dosage and how these elements may relate to the individual animal's specific conditions. For a list of other herbs that can be used as herbal teas you can read here. Prior to giving your dog or cat herbs make sure you check all cautions, drug interactions, and any conflicts with your dog's or cat's current medical condition, if he/she has any condition. Also note some herbs that are fine for dogs are not safe for cats - make sure you check first. For a nutritionally complete homemade dog food you can take a look at this recipe. Liver and other organ meats offer a rich source of nutrients and essential amino acids – a little piece on a daily basis is beneficial for dogs and cats. Some types of mushrooms are safe for use as a treatment to help your dog or cat fight cancer. However unless you have a working knowledge of mushrooms for medicinal use do not try to medicate your dog or cat with medicinal mushrooms. Human-food grade finely ground almonds, peanuts and pine nuts; butter (i.e. peanut butter, almond butter), coconut oil – when offered in small amounts daily are a good source of nutrients for dogs (and for some cats). Is not bad for your dog - it is a species appropriate diet. However if the origin of the raw food, its preparation. etc. is not safe then the end product - the raw food is not safe either. All of these substances end-up in your dog's and cat's system when they ingest the food. And that in a nutshell is why raw meat is on this list. Because if YOU do not employ common sense it can become BAD for your dog. And other items like Probiotics. And don't assume just because you are paying alot of $ for a pre-prepared raw food that it is nutritionally complete. I have looked at many, and the claim (by the companies) that they are complete is not an accurate statement. The Omega fatty acids are never present in the correct ratio and that creates some serious issues. I use anise and fennel seeds in my homemade dog food recipe. Soy - Organic, Tofu traditionally fermented only! Only for dogs and cats that must be on a vegan diet due to health issues such as Bladder and Kidney Cystine Stones (uroliths). Organic unpasteurized, unfiltered ACV offers a long list of health benefits and is safe for most dogs and cats when added to the daily diet in the correct dosage – you can read about that here. The following provides a list of some of the interventions that they may ask you to do, they may also request that you bring your dog in ASAP. To dilute caustic poisons such as pine oils, detergents, bleaches, and swimming pool chemicals, feed your dog large quantities of water, milk, or egg whites. Activated charcoal (or even burned toast) may be recommended to absorb insect repellents like DEET. Then pat your dog’s paws dry. ‘Inhaled poisons’ include aerosol sprays, carbon monoxide, gases, and other fumes inhaled by your pet that you may not consider poison to dogs because you use them safely on a regular basis. Quickly get your dog into fresh air and administer Rescue Breathing if necessary. For snakebites, carry your dog if at all possible, to prevent increased circulation of venom throughout his body via walking. Get him to an animal emergency centre ASAP. For insect bites, administer 1 mg of Diphenhydramine (i.e. Benadryl), an antihistamine, per pound of your dog’s body weight. Applying a cold pack to the bite can alleviate swelling, but immediately seek professional medical help if you detect breathing problems. You can also wipe or spray the bite with Apple Cider Vinegar. If you think your dog is suffering from symptoms related to poisoning from any of these foods, plants or chemicals call your veterinarian or contact a pet poison control centre right away. Wow, this is a great list. I thought I knew all of the items and I'm surprised to see eggs on here. I have friends who feed their dogs fried eggs everyday (I know you wrote raw eggs). We feed our dogs fried eggs every now and then as a treat. We don't feed our dogs raisins (because they're dried grapes) but we do give them a few craisins every now and then, which probably isn't the best idea, because it's processed food - hence, sweeteners. The pet poison hotline's website says garlic is more poisonous than onion??? They say artificial food colouring is ok for your dog when it is in actual fact a known carcinogen. There are also other errors on their list as well. I'm so thankful I've browsed on this list. it's so helpful and informative. now i'm knowledgeable on what not to give to my little boy. Thanks a lot. Wow so many things to think about not feeding your dog, I was surprised to see eggs as when my dog was poorly the vet had told me to keep him on eggs (scrambled) chicken, tuna and pasta, I most definitely will be looking at ingredients and additives in my dogs food and have saved the list, many thanks for sharing this useful information with many pet owners :-). Dogs don't handle dairy products well at all and they should be avoided. Actually MJA that is not true :>) Dairy products such as cottage cheese, yogurt, kefir, hard cheese such as cheddar, swiss, mozeralla are very good for dogs and the majority of dogs will not get sick from these dairy products. I have 10 dogs ( http://www.ottawavalleydogwhisperer.com/My-Pack_My-Pack.html#.UVI33VfKSHc ) that vary in breed and size, from a 4lb Pomeranian to full size German Shepherds and they all get dairy products (yogurt, cottage cheese and cheese)on a daily basis. Many of my clients also feed their dogs these food stuffs as I do. 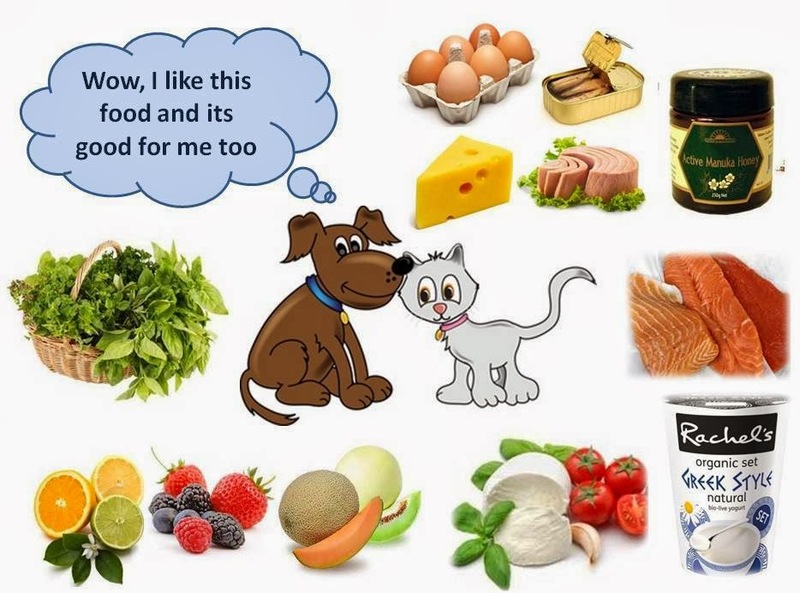 Such foods can contribute much to a dog's health. Great list ! people should be more aware of these foods dogs can and can not eat . Awesome info. Thanks! What should I do if my dog eats household items? Toys, crayons, pens, stuffed animals (all the stuffing), stones, wood - pretty much anything. 4year old Golden Retriever - we adopted him less than a year ago. Wonderfully detailed list, thank you! I'm trying to transition my dog out of dry/canned food, seeing as how the ingredients are terrible and she barely even eats it now. Attempting to give her homemade food, I've started feeding her brown rice with gravy (from a powdered mix packet) which is the only way she eats anything now. I've heard from a fellow dog owner that cooked corn and chicken hearts/liver are also safe for dogs. Is this true? Grains are not part of a dog's natural diet and cause many short and long-term health issues for dogs. Commercially made gravy is also not a good thing to feed her as it is high in sodium, many contain food coloring, artificial flavours, chemical based preservatives = toxins, carcinogens and species inappropriate food stuff. If you want to make her food try this grain-free recipe - http://ottawavalleydogwhisperer.blogspot.ca/2012/06/home-made-diy-dog-food-recipes-grain.html She is highly unlikely to reject it and if you read the comments under the article you will see that people have great success with it. As for liver - a very little piece a day is fine but feeding your dog large amounts of liver is actually not good for your dog.In addition the liver is part of the bodies filtering system for toxins, so if the liver you are using is from factory farm chickens you are increasing your dogs intake of toxins. Thank you so much! I will try the grain-free recipe :] I feared there would be too much sodium in the gravy and have read that large amounts of corn are dangerous; I'm glad I was able to get your opinion on the matter so quickly. Thank you again! Is fresh coconut ok to give a dog and if so how much a day? What about fruits and vegetables? What kinds are good for dogs and what kinds do they typically like? Is it ok to give my dog egg shells? Are there any benefits in egg shell such as Calcium? If you are feeding your dog a processed dry dog food you should not be adding eggshell. 1:9 it should be 2:1 - the ratio is way off of target. The ratio of Omega 3 to 6 varies depending on the brand and product. Mix both into his dog food. Hi, what should I do if my dog got into some grapes? Ginger is not toxic to cats or dogs, and in-fact ginger is often used to mediate certain health issues. Some nuts are toxic to both dogs and cats. If the nuts were peanuts r almonds for instance I would not be concerned. If the nuts were walnuts - toxicity could occur. If there was very little nut in the cookie your kitten should be fine. Good morning! The information you have provided is so valuable!! I am really enjoying of of the articles I read. What are your thoughts about using quinoa in my pup's food? I prepare him whole foods. No kibble. The thing that is great about quinoa is the protein content, and it technically isn't a grain because it isn't in the grass family. I know that it is higher in iron. Would that pose a problem for my Silky? He's a big guy for his breed. 14 pounds 8 months old. I recently stumbled upon your blog when I was researching mange and homemade dog food to boost their immune system. I'm currently fostering a 6 month old yellow lab who's been rescued twice due to sarcoptic mange the first time and both sarcoptic and demodectic the second time. After following advice from your blog she has completely transformed from an ill, practically hairless puppy to a lively, energetic ball of love. Her fur has began to come back in the 17 short days she's lived with me. I hope and pray to make this little angel part of my family once she is completely well and released for adoption. Cher and I thank you from the bottom of our hearts!! Without your blog I don't know what I would've done to help this sweet girl with her healing process. Hello. Being vegan, I prepare my own nut milk from almonds, brazil nuts and coconut, and I usually give the leftover meat from the milk preparation to my dogs on their food, in quantities that do not exceed the 15% ratio to the total amount of food. But I'm not sure if it is ok to give them these frequently or if the quantities are high. Also, are pistachios good or bad for them? Thanks for all the helpful info! Coconut, almond and Brazil nuts - (human food grade and free of aflatoxins - which is what you are using), in small daily quantities are fine for dogs that do not have medical conditions that conflict with the high fat and trace silica found in nuts. My dogs get a little finely ground peanuts daily, they also get coconut oil daily. Brazil nuts have many beneficial qualities but are one of he tree nuts that are quite high in fat. 15% ratio to food is a little on the high side though - I would recommend that you reduce that unless your dogs are not getting good fat from other sources - i.e. your dog`s are vegan. If your dog;s are getting fat from poultry, meat or fish, from fish oil or seed oil (i.e. flax oil) and/or from dairy such as yogurt definitely reduce the nut/nut milk intake to a lesser daily amount. My dogs get coconut oil every day, they also get 100% pure natural peanut butter and a little finely ground peanuts mixed with ground pumpkin seeds but the amounts that they get represent a very small amount of their daily food intake as they get fats from other sources as well (poultry, fish, yogurt, cheese). If your dog;s are getting fat from other sources as mine do you should be reducing their nut intake to a tbs or two for large dogs and less for smaller dogs. Thanks very much! Since what I'm using is the nut milk leftovers (the flesh that is left after taking the milk out of the nuts) I thought maybe most of the fat stayed in the milk, but maybe the same happens with most of the nutrients? So the best option I think would be to reduce the quantity (though the 15% I mentioned just represents a part of one of the meals my dogs get). I give my dogs olive and coconut oil on their food daily, and will also give them flax seed oil. One of the meals is home-made following the guidelines I've learned from you :) (thanks for that, I'm actually really thankful for all I've learned here from you since I feel it has improved our lives with our dogs in many ways). The other meal is kibble, not so happy about that but it's a bit hard for me to prepare them both daily meals (we have 5 dogs), and also it is a way for them to get meat protein. Not sure about the real benefits though, since the kibble we can usually afford is not the best, as it contains grains and lacks nutrients from natural sources. Would you recommend to chose a full home-made diet? My concern is the lack of meat since it's hard for me to get and prepare it for them. I give them eggs though, a couple of times a week, and also suplement with Udo's Choice Pet Essentials (the best one I can afford). I have 11 dogs to feed so I make very large batches of food and freeze enough to last a few weeks at a time - you might want to do the same. The grain-in food dry food actually detracts from health and is a leading cause of ailments and chronic health issues. The meat in the dry food has been so overly processed the nutrient value is very degraded, as well the meat is cooked at high temperatures which cause the formation of carcinogenic substances in the meat. So yes I would recommend a balanced homemade diet as opposed to the dry dog food. Can i add some unsalted canned tomatoes/sauce/paste into homemade dog diet? Tomatoes are high in lycopene - lycopene has many health benefits. However Tomatoes are very high in pesticide residue - being one of the most pesticide dosed vegetable/fruit crops. So use organic. Hi. I am unsure about potatoes, and im not talking about sweet potatoes, im talking about russet potatoes, Idaho potatoes, etc. Thank you so much for your time and research. My dog takes Joint MAX (Hypoallergenic Granules) and I was disappointed to notice it contains "Natural Molasses Flavour"
She gets about 1/2-1 teaspoon a day (less than the daily dose for her size). I don't think it's really enough to be incredibly detrimental, but should I scrap it anyway? She also gets turmeric daily for arthritis, along with 2-3 other supplements (Canine Complete Joint Mobility, and Tricox Chews). Any thoughts? Thanks for your time. Your blog is a bible! Two of the products you are using contain toxins, carcinogens, known allergy triggers and otherwise inflammatory ingredients - listed and hidden. My 22 lb dog ate 1/2 lb or so of mixed nuts! Cashews, almonds, brazil nuts, pecans and pistachios. I induced vomiting with hydrogen peroxide. Should I also use activated charcoal? I have some ground up but not sure if this will help with high fat food and how much should I mix in water? Thank you! I just got back from the health food store with milk thistle and dandelion root, powder. I think my dog threw up most of the nuts, and he is behaving very normally. He is running all over the place and looking for food. It is ok to feed him his regular raw meats, etc. and give both the milk thistle and dandelion together? Can I send you a donation for your help? LOVE your website! Thanks for sharing all this awesome natural health information. More people are learning the truth about conventional pet rearing and turning to the natural path instead. The results it gives are fabulous! 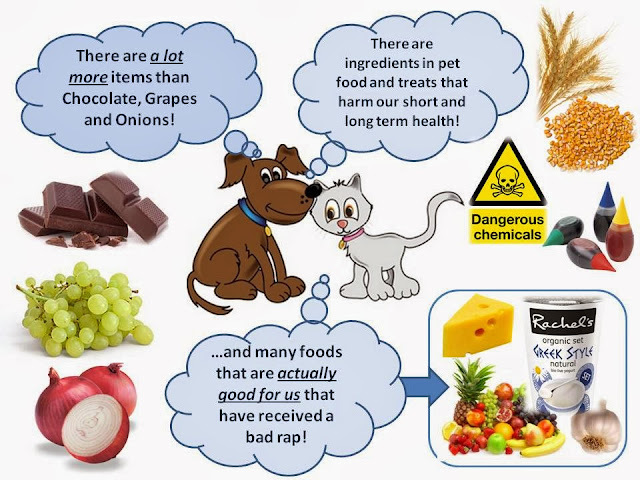 There are no 'good' dry highly processed pet 'food' products - there is simply terrible, bad and less bad. Acana and Orijen (both made by Champion Pet Foods) contain a large quantity of legumes, used instead of grains. Grains and legumes are used by the pet food industry as fillers - fillers to bulk up the food product making it cheap to produce while maintaining very high profit margins supported by intensive and manipulative marketing. Grains and legumes are not appropriate for dogs and are not part of a dogs natural diet. A dogs natural diet consists of muscle meat + organ meat + good fats and a small amount of appropriate plant material (i.e. greens, berries, herbs). Legumes contain a particularly inflammatory type of lectin protein responsible for causing multiple inflammatory issues and disease in dogs.